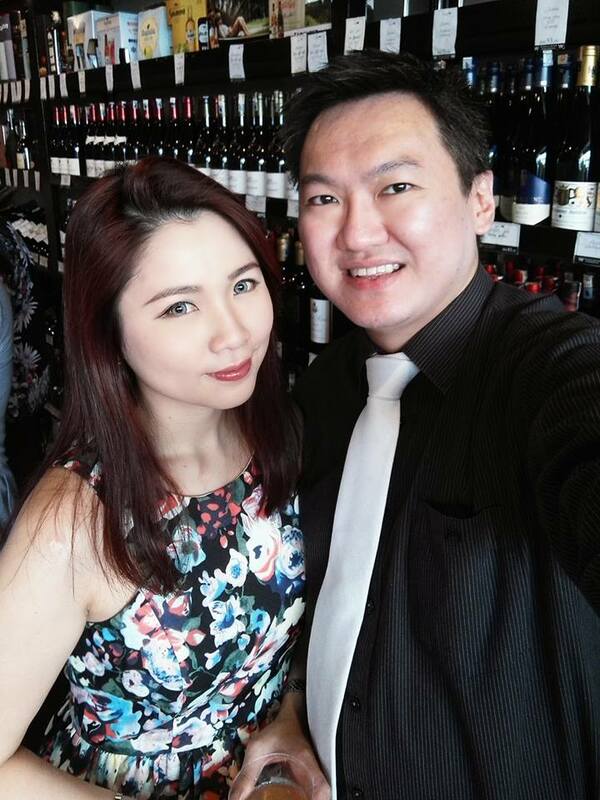 Last Chinese New Year, Kassey and I headed over to W Wine & Liqour Warehouse for their Chinese New Year open house. W Wine & Liqour Warehouse is a family owned business and is rated 5 STAR by Wine Searcher. 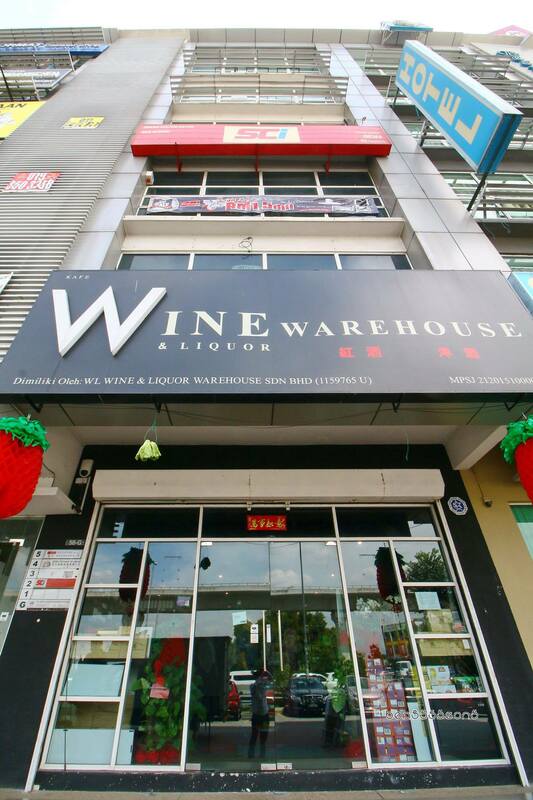 The establishment is located at One Puchong Business Park, Puchong (facing the LDP highway, and next to Best View Hotel), Selangor, and is one of the largest wine shop in Malaysia with more than 3,000 square feet of wine displays that accommodates more than 20,000 bottles of wines from Australia, France, Spain, Germany, Italy, Chile, USA, Argentina, and other New and Old world countries. 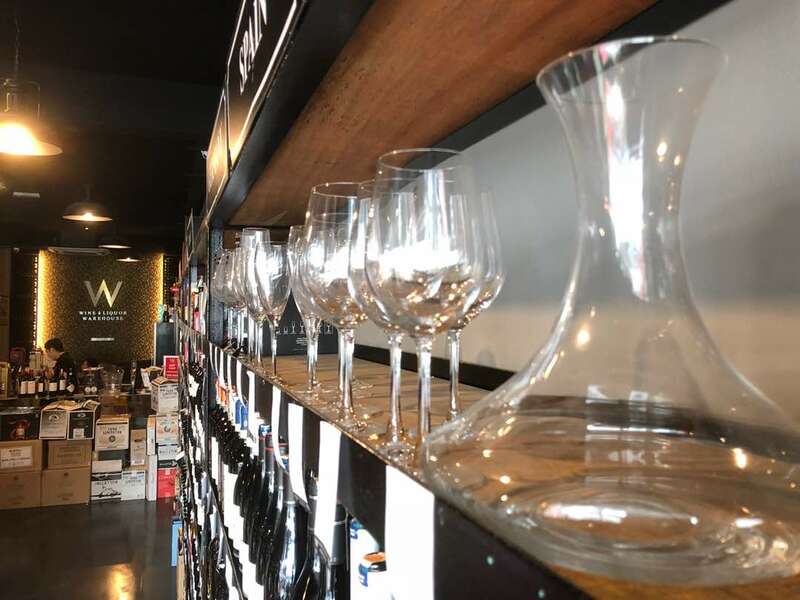 W Wine & Liquor Warehouse has more than 500 wine selections and sources their red wines, white wines, champagnes, sweet and dessert wine from more than 50 labels and wineries all over the world. 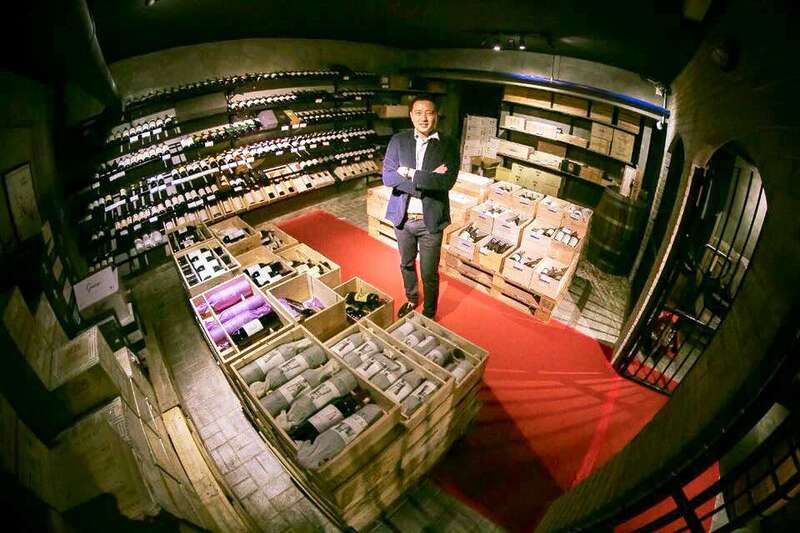 More than 100 different wines at the store have scored more than 90 points on the Wine Spectator magazine, and some of the world’s most famous brands can also be found here. 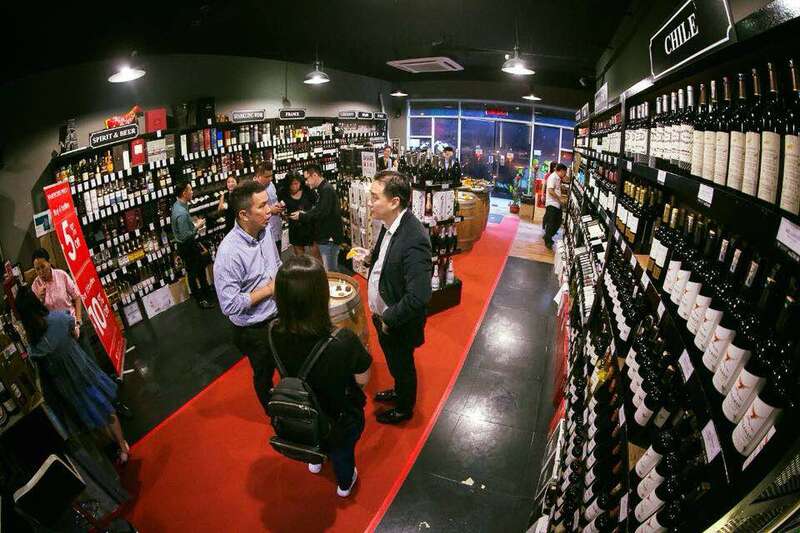 As mentioned above, the establishment sources their wines directly from foreign wineries, which enables them to sell the wines at warehouse prices – generally priced 10% to 15% cheaper with wines ranging from RM49.90 a bottle to RM6,888 a bottle. There are also wine consultants at the store are on hand to assist you with choosing a bottle (or perhaps a few bottles!) that suits your taste. W Wine & Liqour Warehouse offers free wine tastings for wedding and corporate event selections. 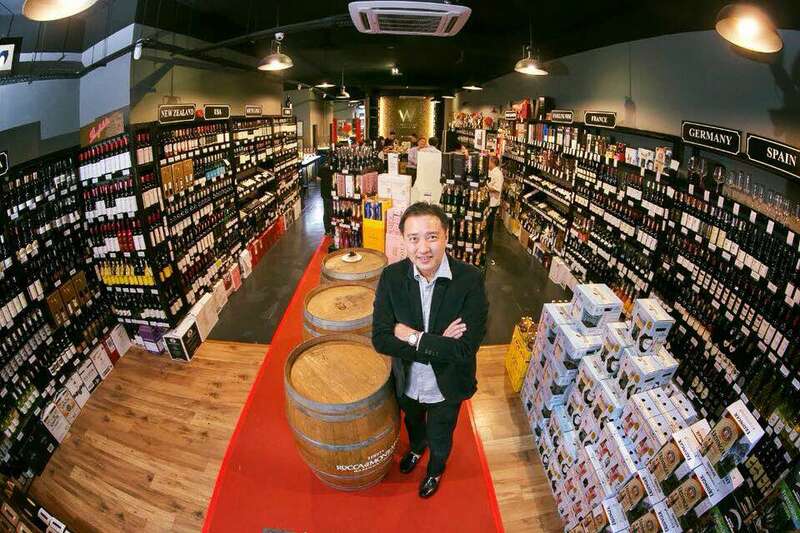 The selection of wines, liquor, and beers available at W Wine & Liquor Warehouse is really astounding! 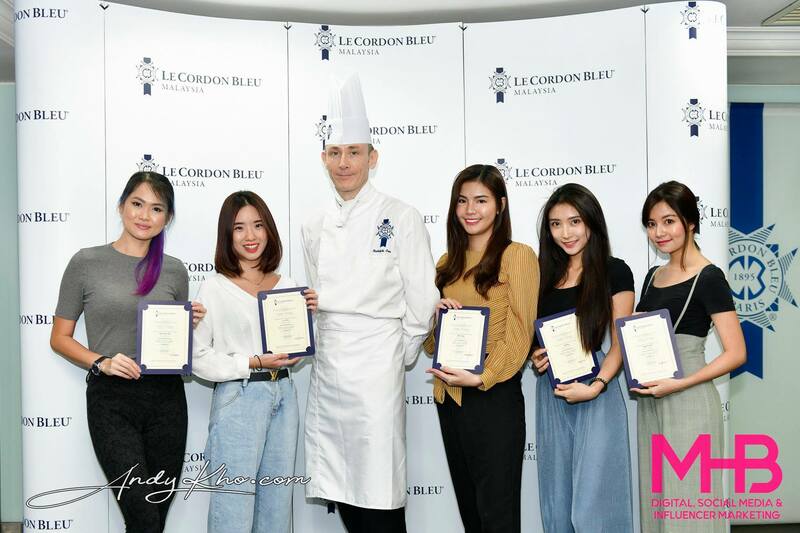 Click on the individual photos to open a larger version. 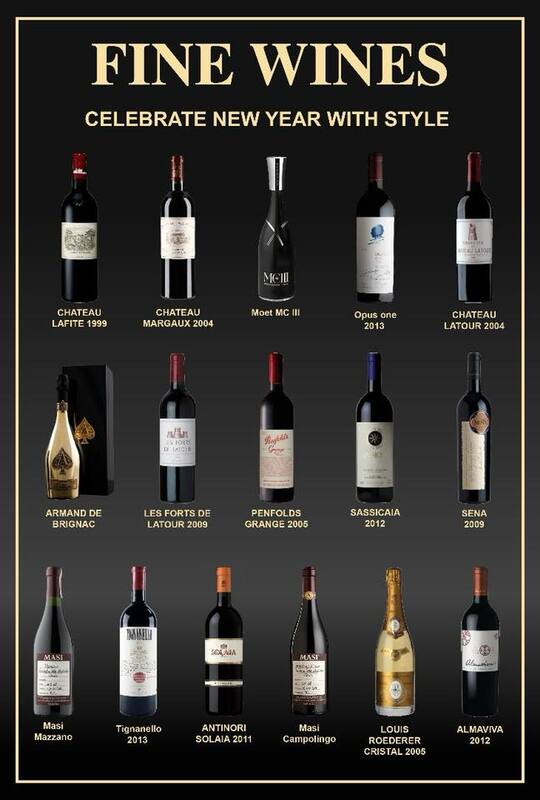 In the cellar which houses the premium section, look out for wines from some of the top wineries and estates in France like Chateau Lafite Rothschild, Latour, Margaux, Haut-Brion, Mouton Rothschild, and more! 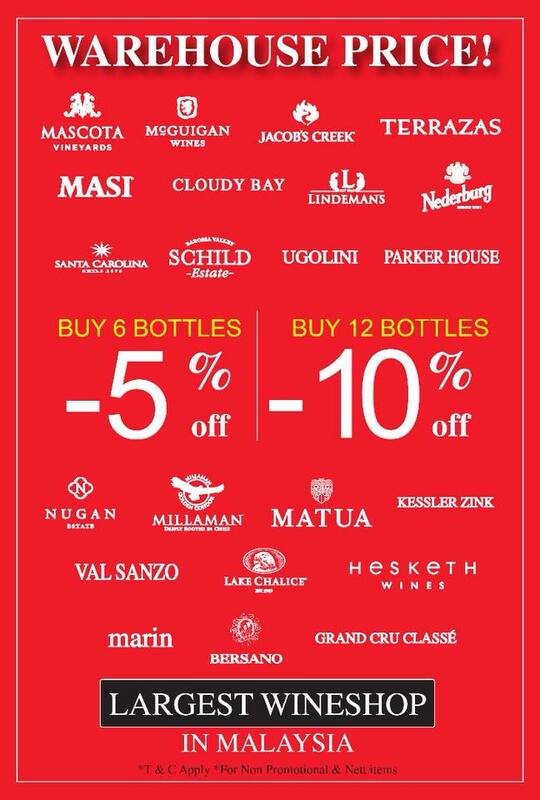 In line with their “Warehouse Concept”, walk in customers can enjoy a 5 % discount with six (6) bottles of wine purchased and 10% discount with purchase of 12 bottles or more. 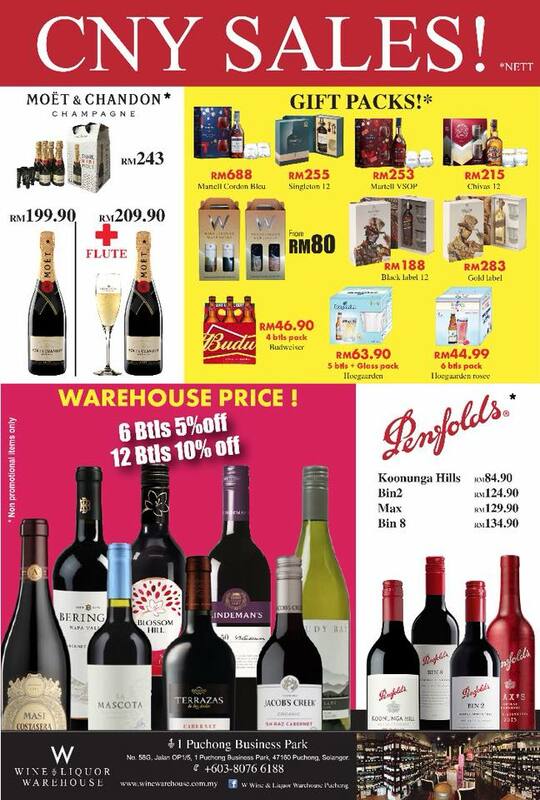 For online purchases, customers can enjoy a 5% discount with minimum purchase of 12 bottles of wine and 10% discount with minimum purchase of 24 bottles of wine. 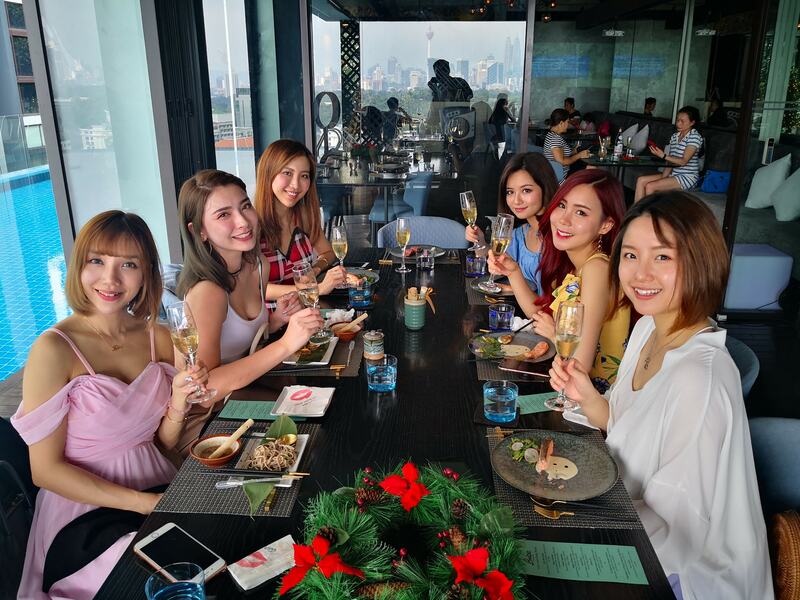 Look out for their next event which is a Champagne Star Night with Moet & Chandon and Belvedere vodka, happening on 9 February 2018 at Socialmex in Glenmarie. 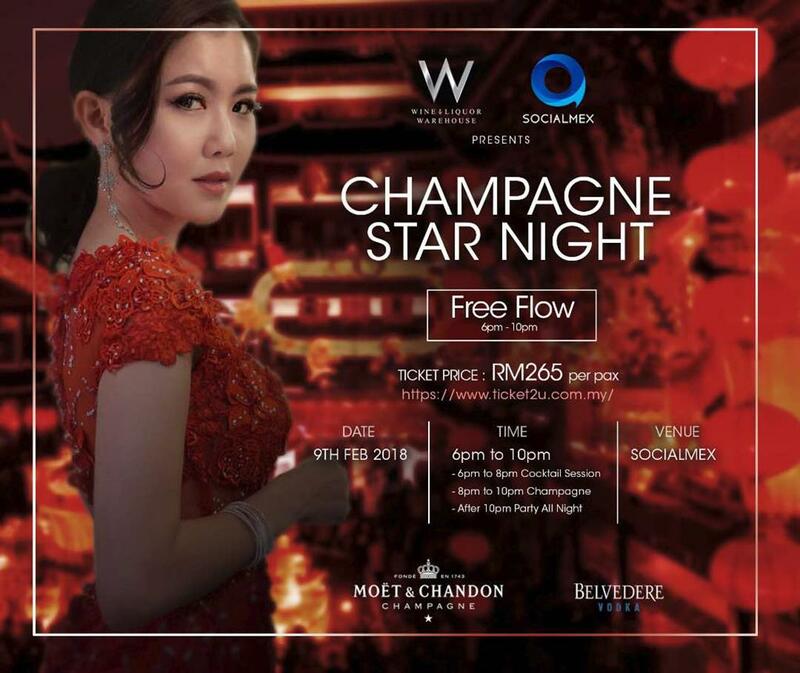 The free-flow event starts at 6pm with a cocktail session, followed by champagne from 8 – 10pm, after which the party continues till late. 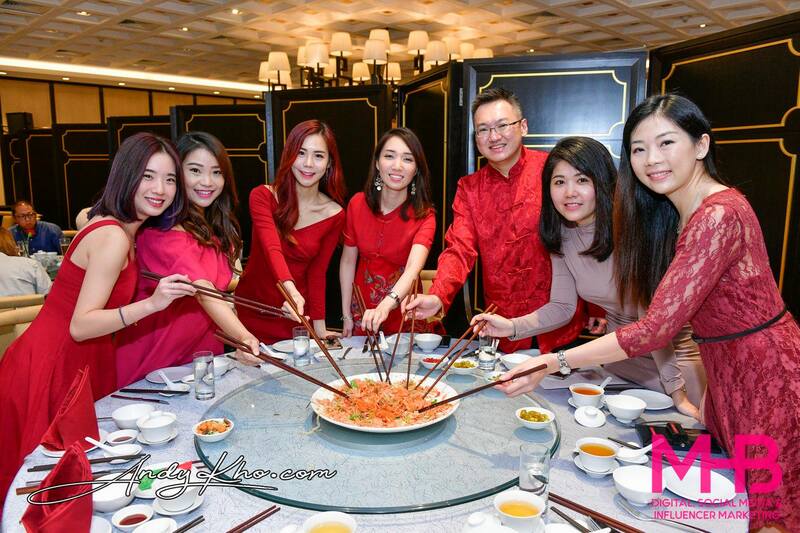 And finally, some pics from last year’s CNY open house.